Civil Society Defenders Coalition Wednesday urged Parliament to consider people who borrow from commercial banks and other microfinance institutions when deliberating the pended Financial Services Act (Amendment) Bill. The civil society organisation made the call during an interface with members of a joint Parliamentary committee tasked to solicit views on whether to cap interest rates or not. Chairperson of the Coalition, Timothy Mtambo, called on members of the committee to consider hastening the process and table the bill during Parliament’s mid-budget review meeting. 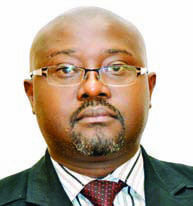 “The Reserve Bank [of Malawi] has failed to stamp authority in making sure that lending institutions offer affordable rates, so we cannot go back to regulation. We must have a law. Anyone speaking against this bill is speaking against the will of Malawians,” Mtambo said. The committee also met Secretary to the Treasury, Cliff Chiunda, who said sticking to regulations would be the best option. “We need to look at all angles on this issue; we believe taking this legislation route will have its own severe impact. We are saying this because we have seen what happened in a number of countries; this route is more neoclassical and could be detrimental,” Chiunda said. Chairperson of the committee, Alekeni Menyani, said they were delighted with inputs from stakeholders. He said the committee would complete the task next week Friday and put up recommendations for Parliament’s consideration.